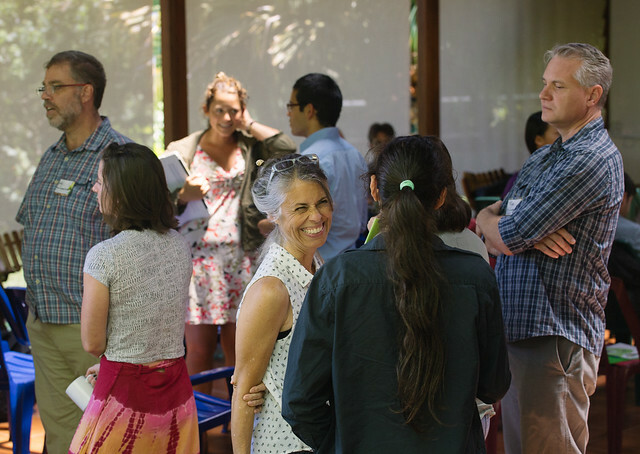 This weekend, over sixty researchers and Monteverde community members gathered for the third-annual Monteverde Arenal Bioregion conference, hosted at the campus of UGA Costa Rica. “In the last three decades, the regions of Monteverde and Arenal, Costa Rica have emerged as premier sites for research, conservation, and education. However, this is a critical time for conservation in and around the Monteverde-Arenal bioregion due to both the rapidly changing climate and increasing human activities,” the Monteverde Institute explains of the initiative. The Monteverde-Arenal protected zone includes over 60,000 hectares of land. UGA Costa Rica, which sits in the San Luis valley of Monteverde, operates within a network of private reserves, sharing boundaries with the Monteverde Cloud Forest Reserve and the Children’s Eternal Rainforest. Leaders from these well-known reserves along with the Monteverde Conservation League, the Monteverde Institute, study abroad organization CIEE, and others met at the conference to focus on the progress of independent research projects and the potential for collaboration among conservation organizations. Researchers from the United States also attended MABI, traveling from the University of South Florida, the Soltis Center at Texas A&M University and even attending as independent scientists to learn about current research, communications and outreach. The University of Georgia, both in its work in the United States and here in Costa Rica, aims to cultivate “groundbreaking research and discovery,” as university President Jere Morehead explains in a video address to UGA students returning to school this month. 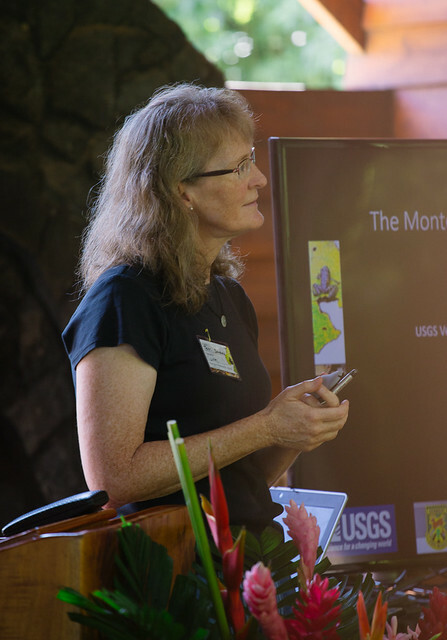 Hosting events like the Monteverde Arenal Bioregion conference allows the university to build upon its aim to become a top research center and reinforces UGA Costa Rica’s goals of fostering sustainable living practices in the Monteverde area. To support UGA Costa Rica in its mission of international education and sustainable scientific research, visit our website and become a friend of UGACR. Blog post and accompanying images made by photo intern Rachel Eubanks.